Looking for a college that combines your passion for agriculture and for athletics? Fresno State might be the perfect match for you. With a Division 1 football team and a location within the heart of America’s cornucopia of fruits and vegetables, it can’t get much better than Fresno State. Their men’s basketball team also made headlines this year when they qualified for the National Invitation Tournament. More of a baseball fan? Lucky you—Fresno State Baseball team won the College World Series in 2008. All of these sports march on with the help of the incredible Fresno State Marching Band and their mascot Time Out. The Jordan College of Agriculture Sciences and Technology is the perfect fit for anyone interested in agriculture. Whether you like plant science, food science, agriculture business or even viticulture, Fresno State has got you covered. The college even has its own agriculture laboratory where students can learn how to conduct research and experiments for their future careers. Fresno State has many alumni ranging from athletes to astronauts to national heroes. Two of these alumni are David and Derek Carr. David played for teams such as the Carolina Panthers, New York Giants and San Francisco 49ers. Derek is new to the NFL, but is already the quarterback for the Oakland Raiders. Athletes aren’t the only people Fresno State produces. Rick Husband graduated from CSU Fresno and was the Commander of Space Shuttle Columbia mission STS-107. Todd Beamer also graduated from this university. Beamer was onboard United Airlines Flight 93 that crashed in Pennsylvania as part of the attacks on 9/11. Beamer is famous for his heroic attempt to take the flight back and for saying “Let’s roll” right before attempting to take the flight back. Most students can be found either studying or hanging out in local restaurants. The Henry Madden Library serves all of Fresno State’s students. It even has a Starbucks inside of it so students can grab some coffee before hitting the books. When students want to relax, they typically go to the Dog House Bar and Grill. Whether they come for the food or the alcohol, students just can’t seem to get enough of this restaurant. When students want to get off campus they can take a drive up to Yosemite and see landmarks such as Half Dome, watch daring climbers scale El Capitan or stare in awe of the valley. 1. How much do students party at Fresno State? “There’s usually only a couple parties each weekend and you can only get in if you’re in the Greek system,” said freshman Zack Timblin. 2. What will get you in trouble at Fresno State? “Bad grades and not going to class can get you in trouble at Fresno State. If you live in the dorms then you will get in trouble a lot more, for things like being too loud and walking around drunk,” said freshman Alyssa Good. 3. Is there a hook-up culture at Fresno State? “There’s a relationship culture more than a hook up culture,” said freshman Julian Andalon. 4. What advice would you give to future freshmen? “[Get] involved. Make new friends, study hard, and do what you like to do. My first two semesters have been spent pretty isolated and involved with my friends from home. I regret not stepping out of my comfort zone and doing something fun, like joining a sorority or club,” said freshman Emily Nickel. 5. Why do you think so many graduates return to support Fresno State Athletics? “Well I think that most graduates from any college feel a sense of belonging to their alma mater. And sports is one thing that brings people together. And for Fresno State specifically, I think there is this sense that they are the underdogs from the Valley that already face an uphill battle. It may manifest itself in sports but it’s economically and politically as well,” said Paul Myers who received his Master’s Degree in Public Administration in 2013. Fresno State and Greek life go hand in hand. The college offers 42 different sororities and fraternities. “When you walk around campus you always see students with letters,” said Good. They have cultural fraternities such as Gamma Zeta Alpha, which is geared towards the Latino community. 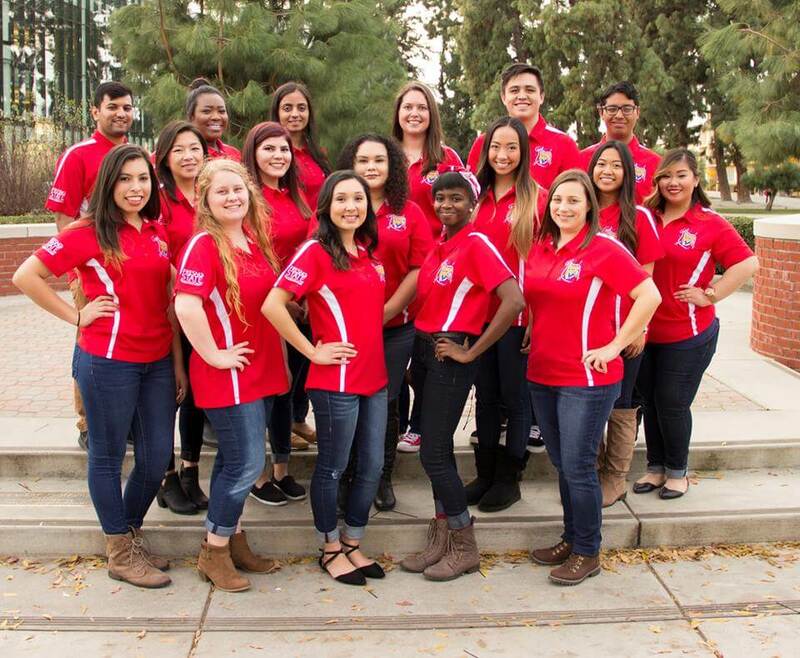 Fresno State also has many honor societies for students with high academic marks and for future leaders. Student’s dedication to Fresno State Football runs deep on this campus. Even during hard seasons, thousands of students fill Bulldog Stadium to support their team. “Fresno State athletics is at the heart of the community and school environment. We tailgate for almost every sport at least my friends and I do. We go to every sporting event and support athletics with our whole heart. I’ll be heading too Tuscaloosa, Alabama to see the Dogs take on the Tide,” said Dillard. Say hello to Vintage Days, one of the largest events in California’s Central Valley. This three-day long event brings in over 50,000 people each year to enjoy live music, food and games. The Vintage Days Club works to plan this event for the enjoyment of the students and the greater community. “Vintage Days provides students with the opportunity to enhance their leadership, communication, teamwork, networking, even planning, time management and soft skills. This is a safe space where students have the ability to work alongside other students and accomplish something great at the end,” said Ramiro Merino Diaz, Assistant Student Director of Vintage Days. Most students focus heavily on their essays for their Fresno State applications. Including a heavy focus on your ties to your community will go a long way with this application. If you intend to major in agriculture, it helps to have a healthy background in FFA or work experience in the area you’re looking to study. Mackenzie is a freshman Journalism and Political Science major at American University. She loves her record player, poetry and F. Scott Fitzgerald. Mackenzie is from a small town in California’s Central Valley and is learning how to survive in a big city.